Take part in the conference to get a unique two-days supercomputing experience! Conference agenda consists of invited talks, research sessions, workshops and master classes, exhibition and much more. Registration will be opened at March 15, 2019. Papers and poster abstracts are accepted to the conference. Best papers in English will be published within CCIS Springer volume. Best Russian papers will be recommended to the leading Russian scientific journals. Submission will be opened at February 15, 2019. 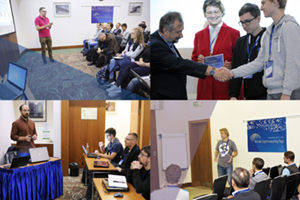 Conference welcomes applications to hold a workshop, hand-on lab, master class, etc. 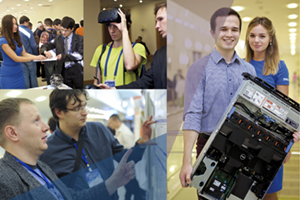 Exhibition features the newest hardware and software solutions for high performance computing. Conference welcomes booth applications. The 5th conference is dedicated to the 85th anniversary of academician V.V. Voevodin, the outstanding Russian mathematician who made a valuable contribution to the parallel computing theory and supercomputing technologies. The new, 31th edition of Top50 list of the most powerful supercomputers in the CIS will be announced on the first day of the conference. 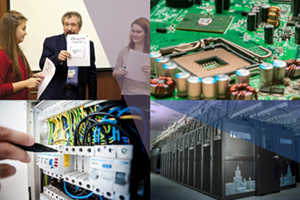 Conference organization coordinators are MSU Research Computing Center and Top Level Meetings. Russian Supercomputing Days Promo Video.